Jasper Infotech Pvt Ltd, which runs e-commerce firm Snapdeal, has put in close to Rs 390 crore ($57 million) in FreeCharge, filings with the Registrar of Companies (RoC) show. As FreeCharge is in the process of raising its next external round of funding, Snapdeal's digital payments arm has increased its authorised share capital from Rs 6 crore to Rs 1,006 crore in a special resolution passed on December 6. "The company proposes to increase the authorised share capital to meet the funding requirements of the company," the RoC document stated. An email sent to FreeCharge did not elicit any response till the time of filing this report. The development was first reported by The Economic Times on Monday. 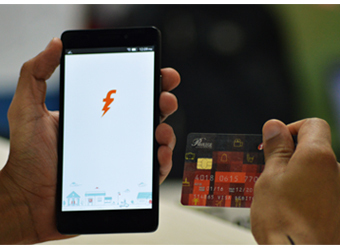 Over the past several months, FreeCharge has been in the news for its fundraising efforts. Most recently, a media report said that the company is in talks with global online payments company PayPal to sell around 25% of its stake for about $200 million. In the same month, it was also reported that Snapdeal was in talks with Foxconn, the Taiwanese contract electronics manufacturer and an existing investor, to sell close to 26% stake in FreeCharge. Snapdeal has not officially confirmed any of these reports. FreeCharge, which was acquired by Snapdeal in a $400 million-deal in 2015, competes with Paytm and MobiKwik. Paytm is backed by Chinese e-commerce giant Alibaba Group, which is partly owned by SoftBank. Since the acquisition, Snapdeal has been looking to monetise its investment in FreeCharge to build a larger play in mobile commerce. The capital infusion comes at a time when the online payment industry has seen its growth accelerate after Prime Minister Narendra Modi decided to scrap old high-value banknotes on 8 November. Mobile wallets such as Paytm, FreeCharge and MobiKwik have seen their business rise manifold.